Gayla Weiler, 59, of Le Mars, died Saturday, March 23, 2019, at MercyOne Regional Medical Center in Sioux City. Gayla Jean Betsworth was born on April 3, 1959, to Dwight and Geraldine (Allard) Betsworth in Le Mars. As a young girl, she was raised in Le Mars and later in Merrill. Her family moved back to Le Mars just before she graduated from Le Mars Community High School in 1977. She then began working in retail. Gayla was united in marriage to Rick Smith and they had four children: Jessica, Kelly, Becky, and Travis. They later divorced. She attended and graduated with a degree in cosmetology from Stuart’s in Sioux City in 1990. Gayla later met and married Robert ‘Bob’ Weiler. They were married on Jan. 11, 1999, in Las Vegas, Nevada. They made their home on a farm south of Remsen. Gayla worked at Cost Cutters in Sioux City for a few years before opening her own salon, Style Spotlight, in Remsen in 1995. In 2003, Bob and Gayla moved to Le Mars. She later retired due to her health. Gayla loved to go fishing and horseback riding. She enjoyed crocheting and arts and crafts, specifically for making home décor. She also loved dancing, especially two-step, and was a great cook. Gayla was a long time member of All Saints Parish – St. James Catholic Church in Le Mars. She would also visit local nursing homes residents to cut and style their hair. Gayla had a cheerful personality and always loved life. Her family meant the world to her and she loved supporting her children and grandchildren in all of their events. Gayla will be remembered for her beautiful soul and will be greatly missed. 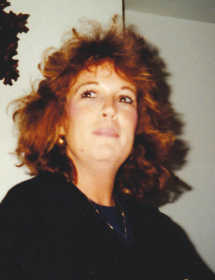 Gayla is survived by her husband, Bob Weiler; six children, 17 grandchildren, and two great-grandchildren: son, Nathan (Danette) Weiler of Remsen, and children: Raegan (her children: Grayson and Hudson) and Keaton; daughter, Jessica (Jess) Underwood of Irvine, California, and children: Brandon, Derrick, and Jasmine; son, Aaron (Carrie) Weiler of Omaha, Nebraska, and children: Braydon, Brycen, and Bayla; daughter, Kelly (Stephen) Bailey of Sioux City, and children: Taylor and Dominick; daughter, Becky Hebert of Akron, and children: Kaden, Kyle, Karsen, and Kailee; and son, Travis (Kylie) Smith of Hinton, and children: Kaydence, Brailey, and Everly; seven siblings: Cindy (Larry) Johnson of Le Mars, Marsha (Al) Pratt of Le Mars, Joyce (Scott) Grosenheider of Le Mars, Diane (Rollin) Rann of Le Mars, Karmen Betsworth of Le Mars, Susie (Phil) Nicholson of Akron, and Darwin (Laura) Betsworth of Le Mars; and many nieces, nephews, and other relatives. She is preceded in death by her parents: Dwight and Geraldine; and son in law, Jeremy Hebert. Visitation with the family present will be from 4-7 p.m., today (Tuesday), at Rexwinkel Funeral Home in Le Mars. There will be a private burial at Calvary Cemetery in Le Mars.